Newlyweds Priyanka Chopra and Nick Jonas were spotted at Mumbai airport on Thursday night. 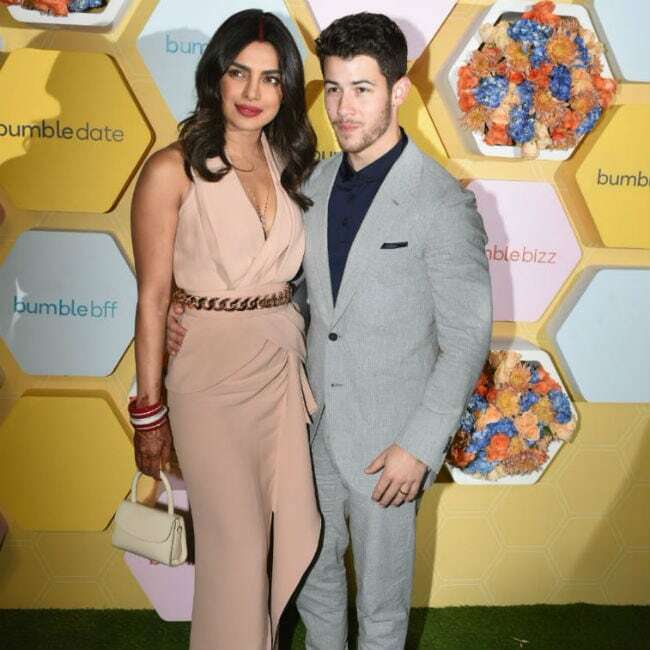 The couple were in Delhi for three days, where they also hosted a wedding reception on Tuesday and last evening, they attended her dating app Bumble's launch party in the national capital. Ahead of the event, in her first interview after the wedding, Priyanka spoke to NDTV about the marriage, and investing in Bumble. Priyanka said that she thought that the app would be an "incredible platform" for women. 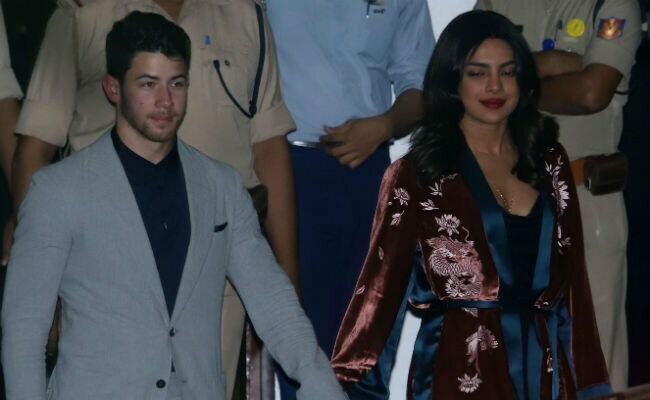 At the launch party, Priyanka wore a blush pink dress and accentuated her look with a trendy belt and Nick was dapper in a grey suit. In her interview to NDTV, Priyanka Chopra said: "I am a tech fan, I always loved technology. It's really taking the world to height and places and it is bringing the world closer and I think the young people need this opportunity to be able to monetise their ideas of the currency of today. I was at a dinner for Bumble business because I just thought it was such an incredible platform which is a social network site for women... by women for everyone. It is such a unique thought. It gives women precedence, it gives their choices precedence and safety and it is for anyone who wants to be a part of the social network." 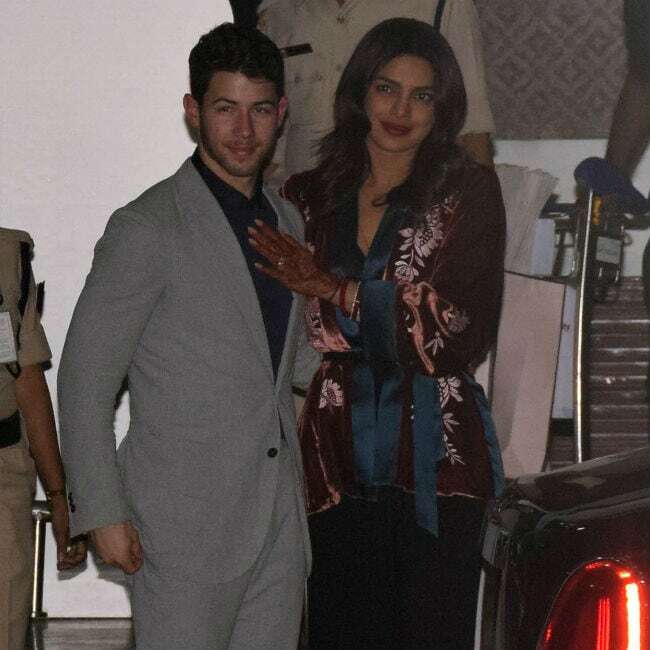 Meanwhile, at the airport, Priyanka was dressed in a black outfit, which she paired with a brown embroidered jacket while Nick looked suave in a powder blue suit. They were photographed hand-in-hand and smiled for the cameras before leaving for home. Priyanka finished her look with the bridal choora, sindoor and a mangalsutra. Priyanka Chopra and Nick Jonas are reportedly planning to host a wedding reception in Mumbai too. 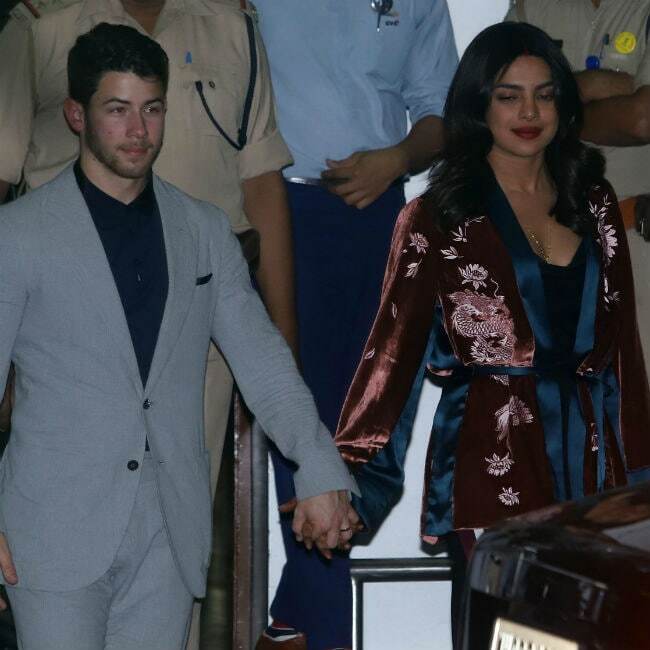 Priyanka and Nick's Delhi reception was attended by Prime Minister Narendra Modi, other dignitaries and her extended family. The couple were accompanied by their respective families at the venue. Priyanka and Nick's wedding festivities were hosted at Jodhpur's Umaid Bhawan Palace. They first married as per Christian rituals on December 1 and on December 2, a Hindu wedding ceremony took place. On the work front, Priyanka Chopra will next be seen in Shonali Bose's The Sky Is Pink.